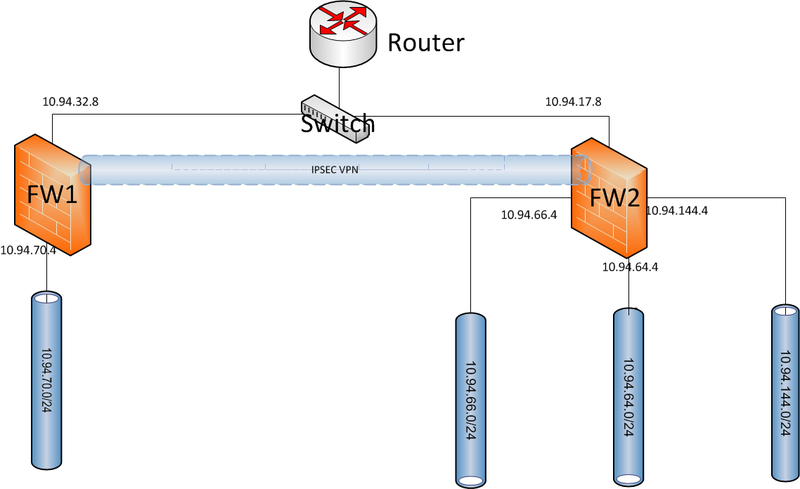 This is the second post for Fortigate IPSec VPN configuration. It will use same topology as previous one. The implementation will be set up policy based IPSec VPN between two sites. 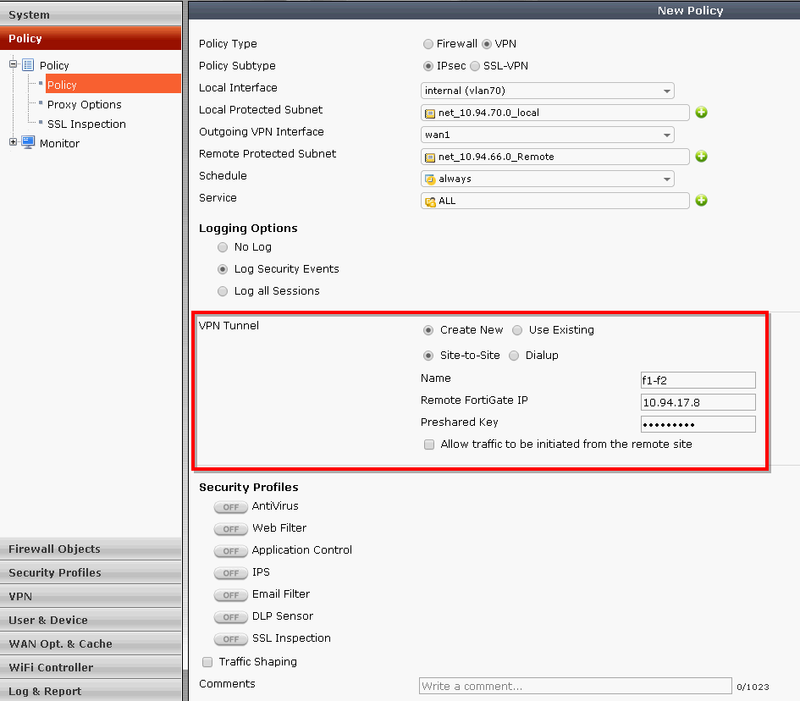 By default, Policy-Based IPSec VPN feature is not enabled. We will have to go to System-Config-Feature-Show More to enable it. Select create new VPN Tunnel. Put FW2's wan1 ip 10.94.17.8 as Remote FortiGate IP. 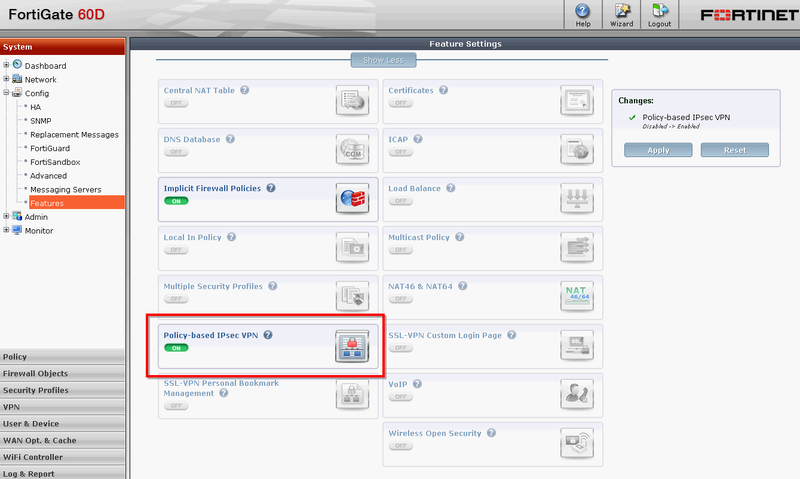 Note: If you choose use Existing directly, sometimes, you will not see your pre-configured VPN tunnel in the list. Create a new vpn tunnel from here always works. b. Three policy rules defined for three different local networks. Remote destination network are same, which is 10.94.70.0/24. All those three rules are using same IPSec vpn tunnle f2-f1, which is defined in step 4. Note: There is no phase 2 in the Auto Key (IKE) configuration.